This was my first time on a tropical island and Maui did not disappoint. Read my top 5 things I’d recommend you check out on this beautiful piece of land! Makena beach is one of West Maui’s largest beaches. 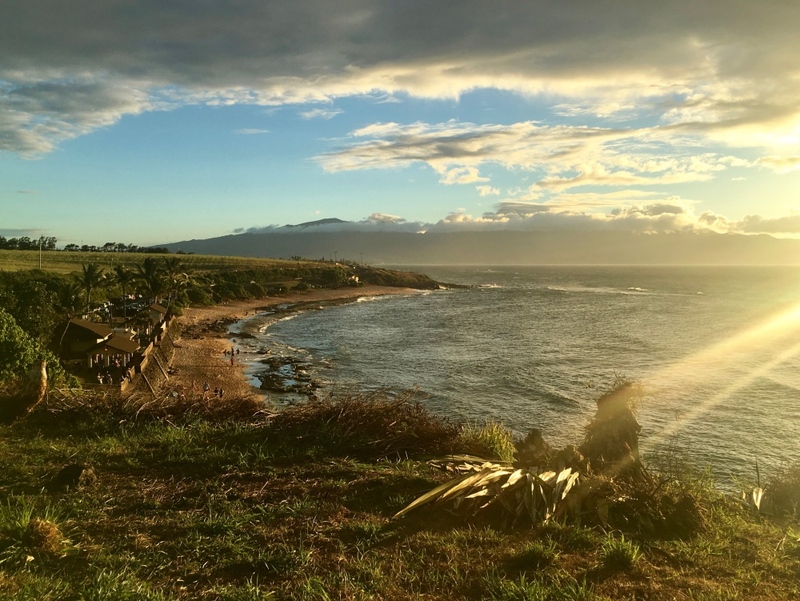 What makes it different from the majority of Maui beaches – it’s wild – no amenities, no hotels nearby as it is a part of the Makena Beach State Park. Makena didn’t disappoint – the sky was full of stars as far as your eye could see. 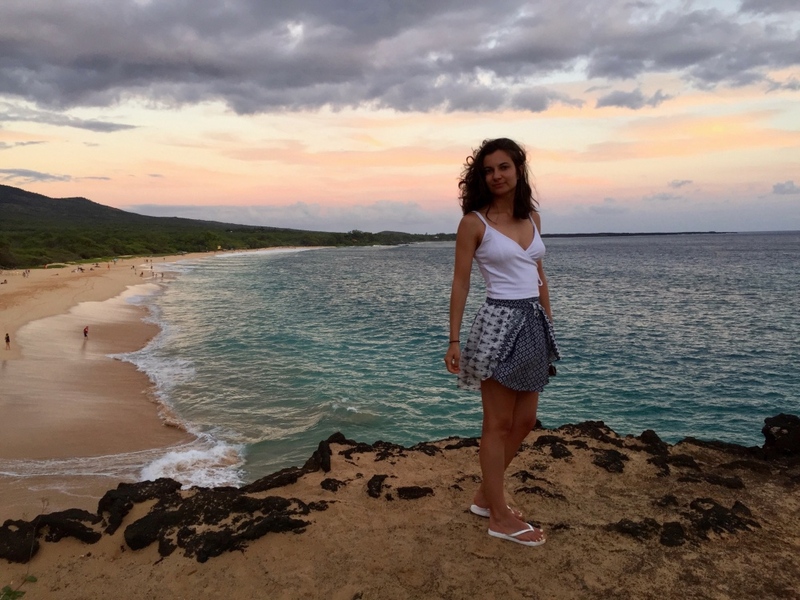 With nobody on the beach and the sound of soft waves in the background – that night was one of my favorite Maui experiences. And we would not have known about it if we didn’t take it slow and stay behind after the sunset. 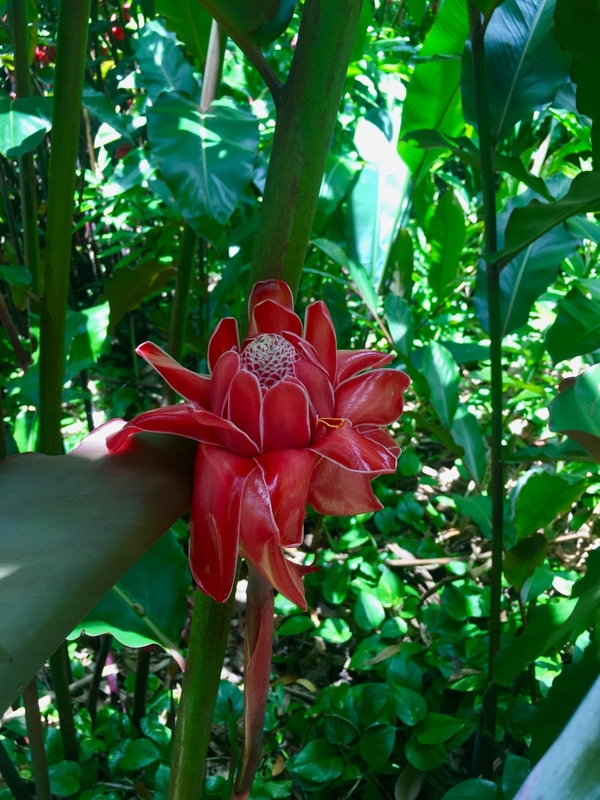 Probably the most famous activity that will come up by googling “what to do in maui” is the Road to Hana. And in this case, jump on it, it is worth it! 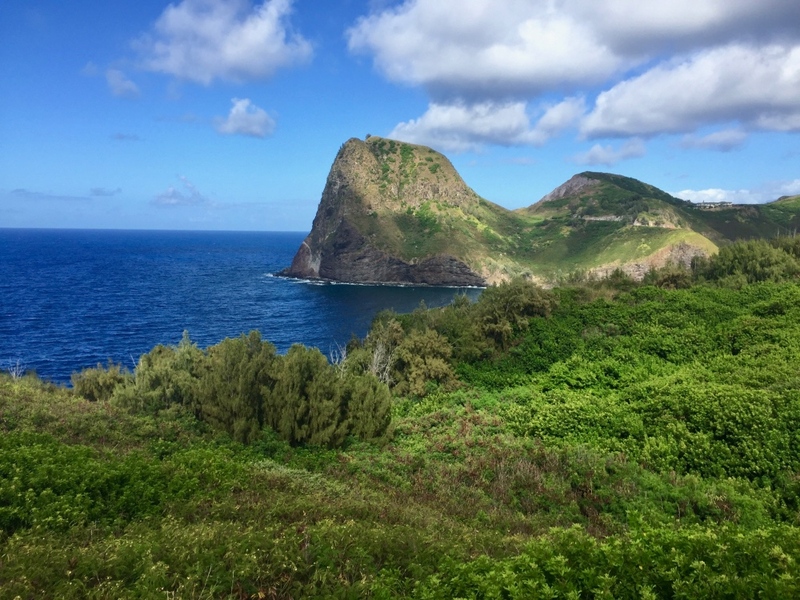 The Road runs along the east coast of Maui from Kahului to Hana with beautiful and diverse scenery the whole way. It is 52 miles long, contains 618 curves and 56 bridges (most of which are one lane only). It would take you anywhere from 2 to 5 hours one way, depending on how many stops you’re making and how fast you’re driving. Tip: We loved this guide. Each worthwhile stop is marked by mile, which makes it really easy to follow. Pick and choose where you want to stop or hit all the spots! This beauty beast eats tiny bugs. Waterfall dips. Mile marker #22. If you’re afraid or can’t handle too many twists and turns, give the “mini” windy road a try! We discovered this road that runs along the west coast and north of Maui from Kaanapali to Kahului randomly. The views there are amazing as well, lots of viewpoints on the way and it will take you an hour or two to complete – just go as far as you’d like! 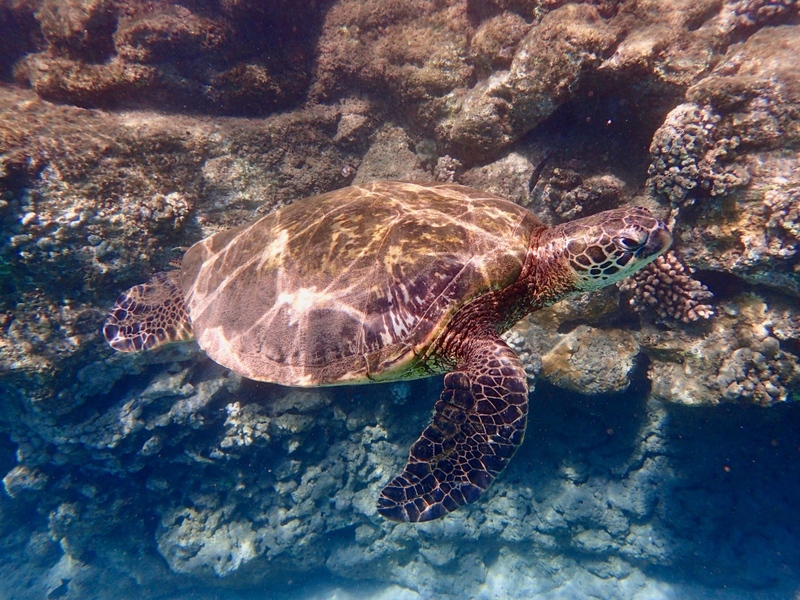 Maybe we were lucky, but between June 19 and 30th, when we were in Maui, we swam with turtles every day. 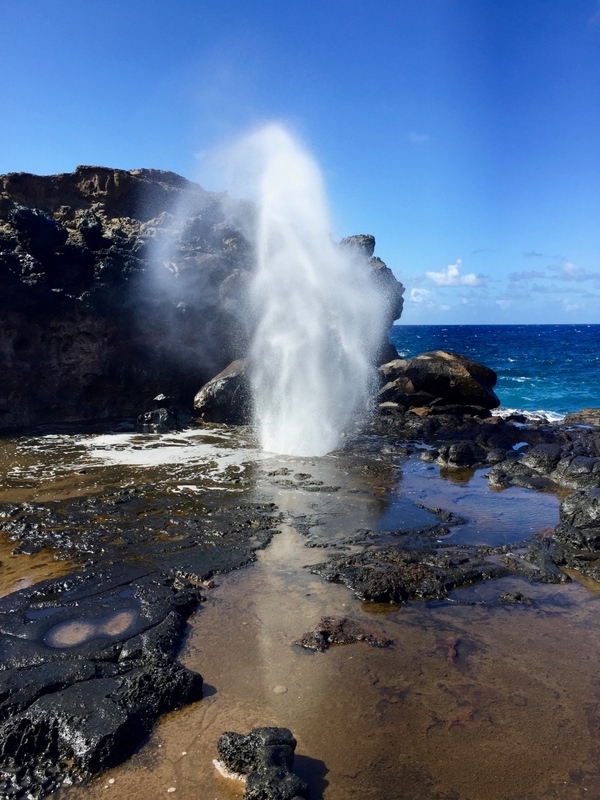 Even if you’ve never tried snorkeling before, you must do it here! I felt like a kid chasing after colorful fish and mesmerized by turtles. Snorkeling is also an interesting meditative experience. You can’t hear a sound – alone with the ocean and its beauty. 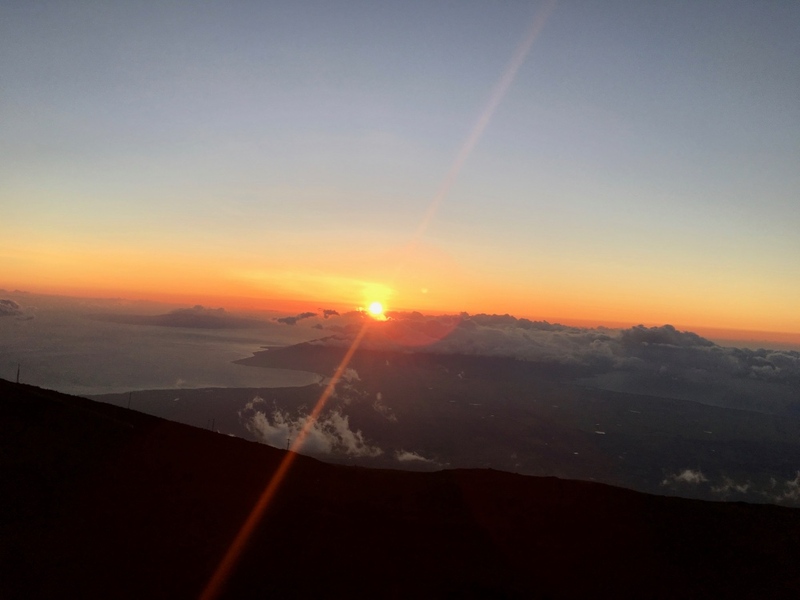 To watch a sunrise or sunset from the top of the Haleakala Volcano. Maui loves windy roads and this one is not an exception, so be careful if you decide to go up. The air is very thin at the top, so some people might feel lightheaded. 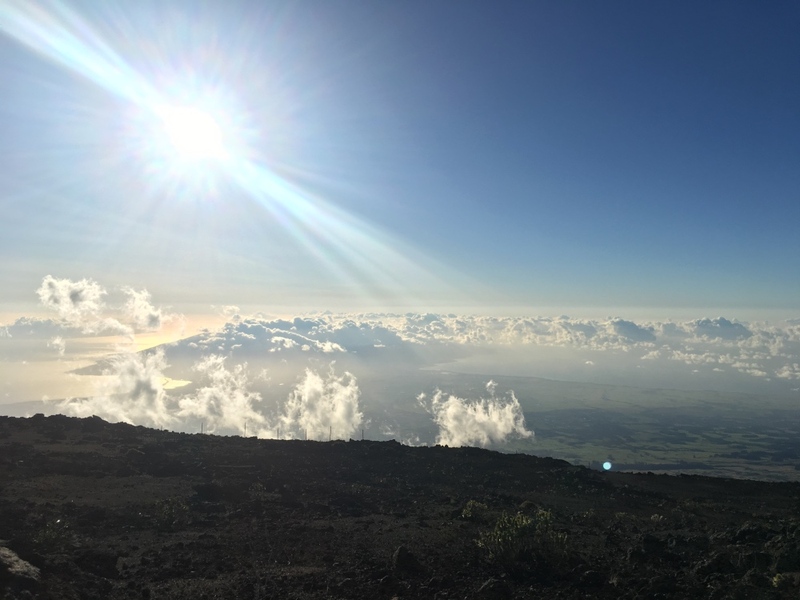 To avoid feeling sick move slow and breathe slow at the top. Good to know: you have to reserve a spot if you want to catch the sunrise. However, to see the sunset you don’t need to. Aim to arrive about an hour – hour and a half before the sun goes down to make sure you get a parking spot. Bonus: I definitely recommend waiting until darkness settles. No light pollution at 10,000 feet — milky way and stuff. 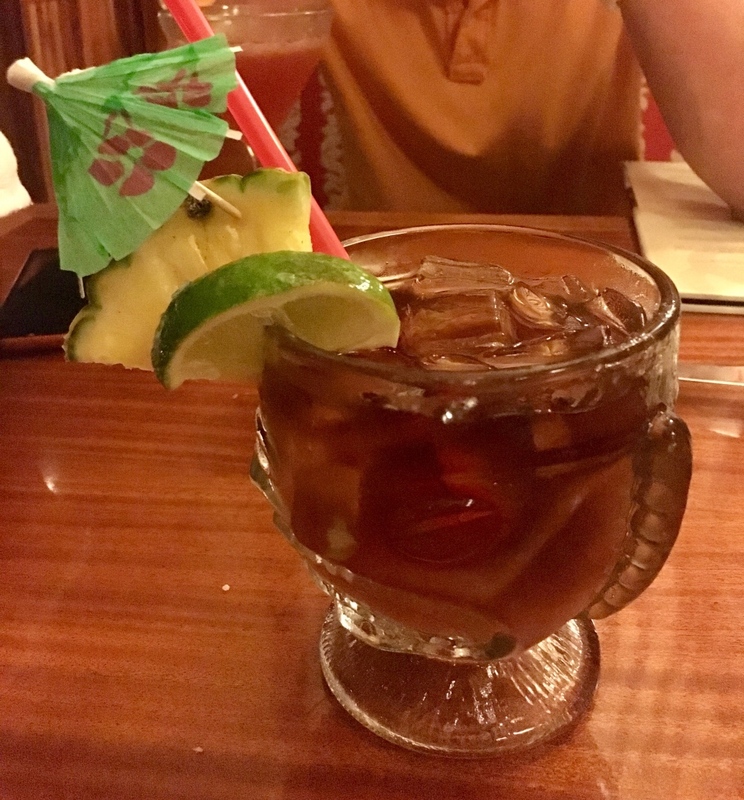 This sweet rum goodness is only appropriate on vacation in Hawaii. Daily. 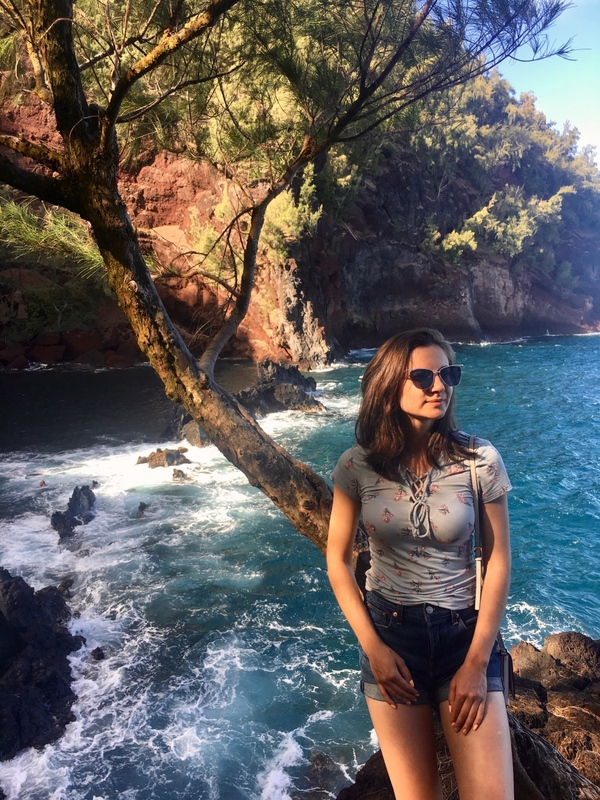 I hope you enjoy Maui as much as we did! Looks like a beautiful place to visit – I’ll have to add it to my list! Great tips of what to do when there, fantastic variety. Thank you for your post! Planning my trip to Maui for next month! Those are some amazing pics! 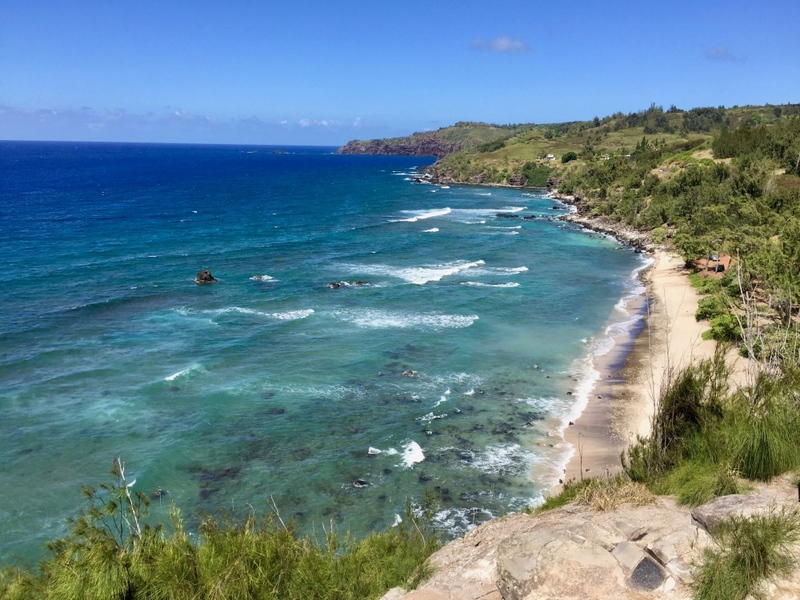 The road to Hana, and Makena are always amazing.